The apartment complex was of the highest standard in every possible way and the receptionist super friendly and helpful. I liked the fact that it had a clean pool in front of the apartments with not a lot of guests using it - they were all at sea side. If all guests would be at the pool, that would be a different story :) The general look and feel of the apartment block was nice, and the bar was useful too (when someone manned it). Everything was really clean and water in the pool was perfect! Staff was so helpful and nice. Hope I will go to this place once again. It was a beautiful place to stay. Staff were really helpful and friendly. They booked trips for us and got a taxi for us. Nothing was too much trouble. Pool was amazing. We would love to visit again. Rooms are nice and clean,staff members are nice and polite,owners are good people. Water in pool is always clean and water temperature is perfect. a great hotel with a very nie helpfull staff. thank you for everything! The propierty was very nice, very clean. The staff was very friendly. Good for them! Great and big room, quiet place, super parking, excelent stuff and security Ranko.-) very clean. Lock in a great price for Apartments Bianca - rated 9 by recent guests. 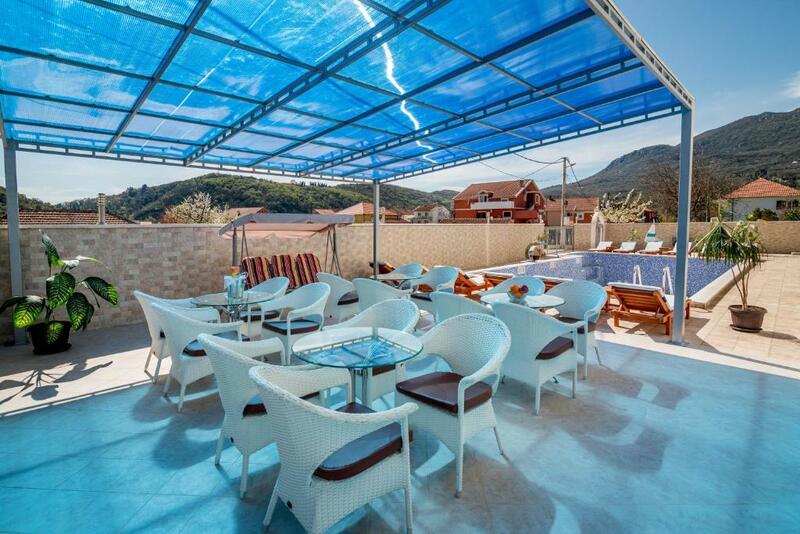 One of our bestsellers in Herceg-Novi! Boasting a heated seasonal outdoor pool, Apartments Bianca is situated a 3-minute drive from Bay of Kotor beaches in Zelenika. Each unit features free Wi-Fi and a spacious terrace overlooking the scenic surroundings. Each air-conditioned apartment has a kitchen with refrigerator and a dining area. The living area offers plenty of seating and a satellite flat-screen TV. Guests can enjoy a drink from Biancaâs summer bar or relax out on the terrace with umbrellas. The apart-hotel offers a car rental service and free parking for cars and garage parking for motorcycles. 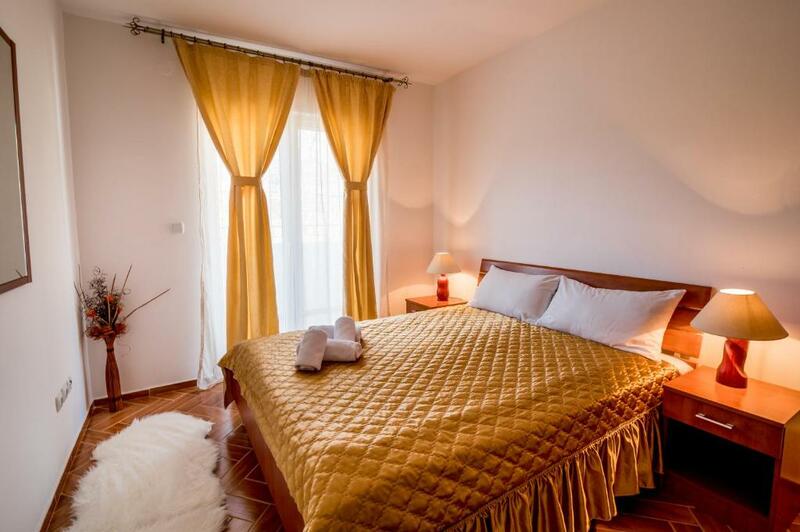 The apartments are 40 minutes by car from Kotor and 30 minutes from Tivat Airport. An airport shuttle service is available upon request. This property is also rated for the best value in Herceg-Novi! Guests are getting more for their money when compared to other properties in this city. Apartments Bianca has been welcoming Booking.com guests since 9 Mar 2011. When would you like to stay at Apartments Bianca? 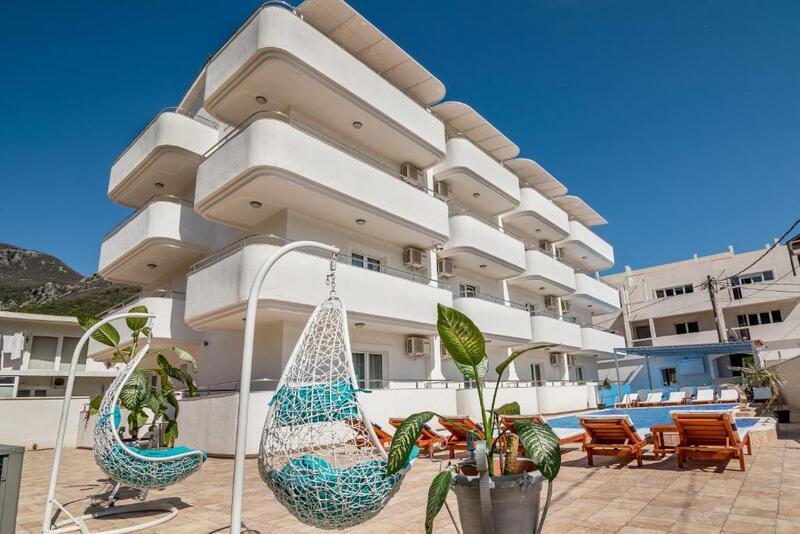 Spacious apartment with 2 balconies and including a separate living room with 3 sofa beds. 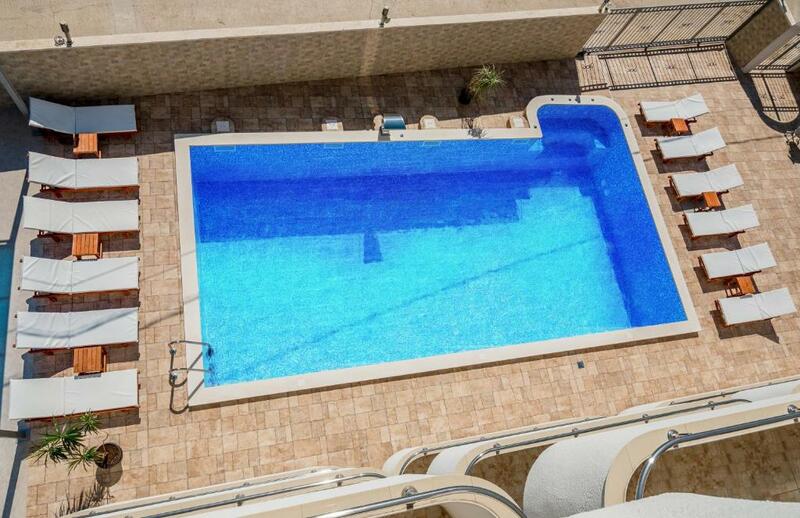 Air-conditioned apartment offering a balcony, an LCD satellite TV and a DVD player. A kitchenette is available. This apartment has a kitchen, satellite TV and sofa. Bianca apartments are ideal choice for relaxing holiday in peaceful surrounding and beautiful landscape. House rules Apartments Bianca takes special requests - add in the next step! Apartments Bianca accepts these cards and reserves the right to temporarily hold an amount prior to arrival. Please inform Apartments Bianca in advance of your expected arrival time. You can use the Special Requests box when booking, or contact the property directly with the contact details provided in your confirmation. Nice quite place, good for a weekend getaway n the staff was helpful n and understanding. It's really quiet. 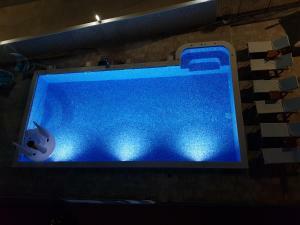 Pool is great and with fresh water, no chlorine used. Bar at Bianca is cheap enough. Beds are good. Great location, ideal place to explore the area (but you need a car). The pool is handy and great if you are staying with kids. The surrounding buildings are unfinished, looks like WW2 hasn't ended just yet. A lot of rubbish on the streets and garbage bins lying everywhere. Employees are very laid back and are not at the property during work hours so if you want coffee, you need to be there when they are. Bar prices are very high for MNE. The general cleanliness is ok, but the aircon wasn't working, it had a centimeter of dust on it so it prevented circulation of air - we needed to clean the unit on our own. Location is not perfect but if you have a car then it is ok! We didn’t mind as we like walking but for those who don’t, the apartments are a 20 min walk from the beaches and supermarket. The apartment and poolarea was very clean and nice. The staff were professional, friendly and serviceminded. 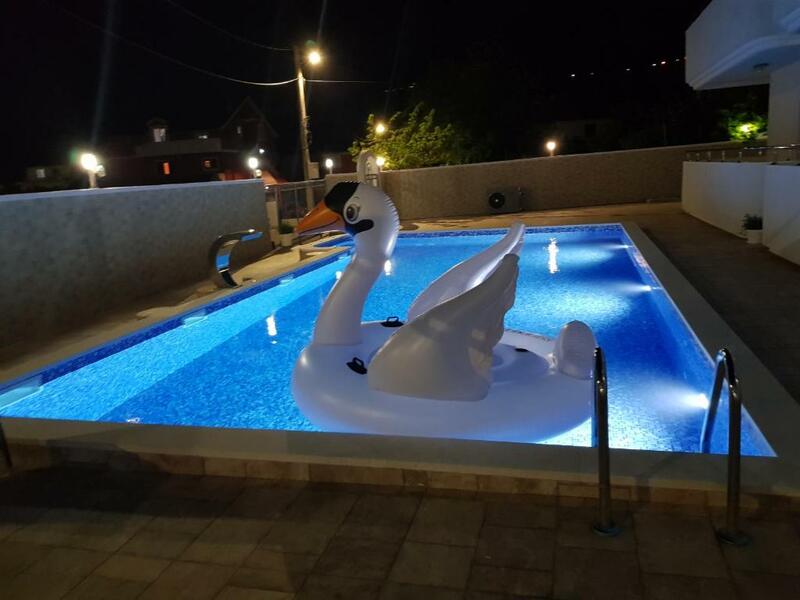 They also arranged transfer from the apartment to Dubrovnik AirPort and we were very satisfied with the transfer, the bus and the best driver we had during our stay in Montenegro. We enjoyed a lot the pool. the location is out of the city. it's very quiet and nice, but not central at all. The road to the apartments, but this is how it is! Please make the roads wider if possible. Parking area is too small.